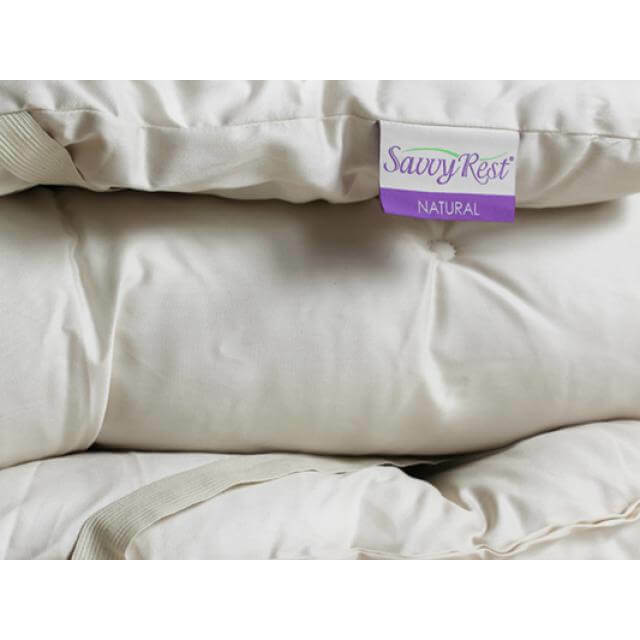 This Savvy Rest Wool topper is full of luxurious certified organic wool which has been magnificently quilted within a soft organic cotton surrounding casing. Using these breatheable natural materials creates an ideal sleeping environment that will not be to hot or too cool and it feels unbelievable. 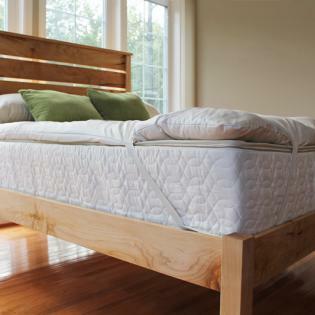 Our Woolsey Topper is NOT a smothering sink in kind of mattress topper that envelopes and smothers you like our competitors. 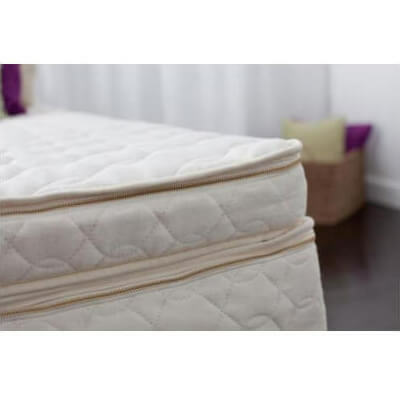 Our customers describe it as having a slight pillowy sensation that offers just a hint of softness that doesn’t disguise the support of your current mattress. For those wanting to just tweak the feel of their current mattress they can simply add our wool and cotton topper to their existing bed for a slightly different overall feel and support without changing it too drastically. Our organic cotton casing is not only beautiful but it feels great. The duvet-style cover is filled with 1.5” of fluffy renewable certified organic wool fiber which breathes throughout the night. The wool filling not only keeps the sleeping climate cool in the summer by also warm in the winter. It has unique wicking abilities that help to keep you dry while also creating a uniquely comforting sleep surface that can work on any mattress not just organic. 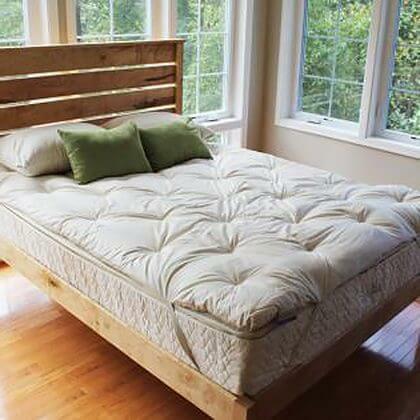 Add to any organic or non-organic mattress for extra luxurious comfort and added support. Cozy wool fiber beneath you in the winter is an unmatched feeling that just can’t be duplicated with synthetic fibers. In the summer the very same wool fibers help dissipate excess heat that can build up making us uncomfortable. This is especially true when sleeping on mattresses that have a reputation for sleeping hot such as visco elastic memory foam. For those who repeatedly find themselves sleeping hot or living with life’s changes and hot flashes the cooling affects can be a welcome relief and is third party certified to be free from harmful toxins.